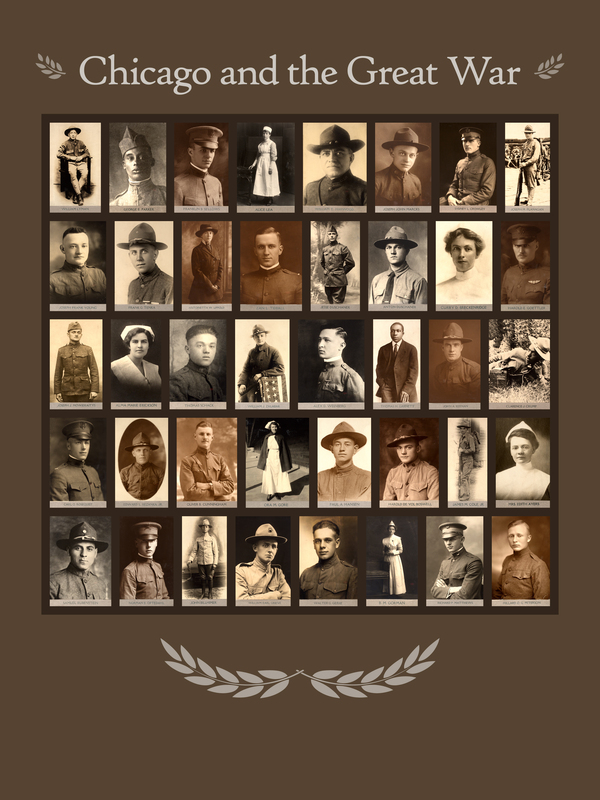 World War I claimed more than four thousand men and women from Cook County. The conflict claimed more than 17 million lives between the Central Powers and Allied Powers. The images used in the installation are known as the Gold Star Memorial Portraits and were collected between 191901921 by Col. E. E. Woods. The installation remains an invaluable record of the Great War and its painful legacy.